If you’re here, you’ve likely received an accessorial fee, also known as an accessorial charge, that resulted in a higher than anticipated bill from your carrier – and it probably wasn’t “received” too well. After all, nobody likes to spend more for a service than they were quoted. That said, there are some things you can do to avoid these accessorial charges. In this article, we’ll be addressing some of the most common charges and offering a few tips to help you keep them off your next bill. Fuel Surcharges – Imposed by carriers when the cost of diesel is excessive, these fees are typically charged as a percentage of the cost of fuel according to the U.S. Energy Information Administration’s Gasoline and Diesel Fuel Update. If you’ve been a good customer, carriers may be willing to let these charges slide. Still, you’ll likely have to ask. Re-Weigh & Re-Measure – If a carrier suspects your freight was measured or weighed incorrectly, they’ll often re-measure or re-weigh the shipment themselves. If they find a discrepancy, they’ll bill you for it. Now that automated dimensioners have given carriers a way to measure freight accurately in just a few seconds, these charges are becoming even more prevalent. The best way to avoid these charges is to invest in a legal-for-trade dimensioner of your own. In the meantime, follow best practices for measuring and weighing your freight by hand. Be sure to account for protrusions, and always measure to the extreme of your freight’s length, width and height. Lift Gate Service – If your pick-up or delivery location doesn’t have a loading dock, you’ll likely be charged extra as your carrier will be forced to send a special truck, equipped with a lift gate, to load and/or unload your freight. Aside from negotiating this rate away, your only real course of action here is to make sure you’re shipping as much freight as possible to and from facilities with dock height doors. If the receiving facility doesn’t have a dock, make sure they know to have the necessary resources on hand to unload the freight. Oversized Freight – Are you shipping freight that meets or exceeds 12 feet in length? These shipments take up more space on a trailer and will be charged accordingly by a carrier. To avoid these charges, try breaking your freight up into multiple smaller shipments. If the shipment can’t be broken up, there’s unfortunately not a lot you can do. Storage – Storage fees occur when a carrier has to hold your freight until a specific date, or if for some reason your shipment gets stalled along the way. The easiest way to avoid these charges is to plan your shipping and receiving times in a way that minimizes any long gaps in delivery. Work with your carrier or 3PL to decide what shipment and delivery and pick-up dates make the most sense for your situation. Residential Delivery – It takes extra time and effort for carriers to deliver goods to residential areas, which carriers will charge for. If you work from home and are forced to receive shipments in a residential area, carriers may be open to negotiating these fees. It never hurts to ask. 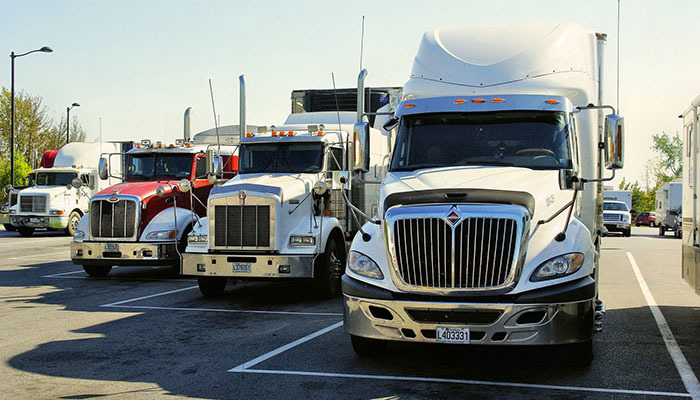 You may also consider a final mile service, which can lower your costs. Limited Access Pickups – Do you frequently require deliveries or pick-ups from construction sites, convention centers, airports, schools, military bases, ocean piers and docks, or other limited access areas? If so, you’ve seen these fees before. The good news is they can frequently be re-negotiated with your carrier. While this article is in no way a complete list of accessorial charges, it at least gives you a better idea regarding some of the more common fees you’re likely to see. Before choosing a carrier, it’s always important to look over the terms of the proposed shipping contract and look for any fees that could apply to your shipment. Being diligent and informed during the quote gathering process can help you save money and give you peace of mind down the road.